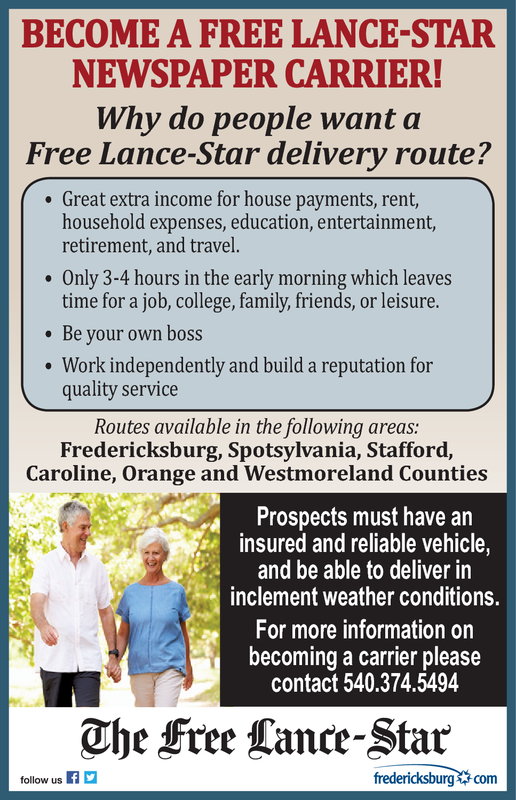 Become A Free Lance-Star Newspaper Carrier! Why do people want a Free Lance-Star delivery route? Great extra income for house payments, rent, household expenses, education, entertainment, retirement, and travel. Only 3-4 hours in the early morning which leaves time for a job, college, family, friends, or leisure. Prospects must have an insured and reliable vehicle, and be able to deliver in inclement weather conditions.